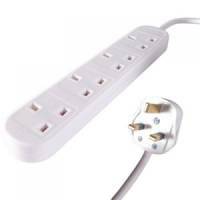 Belkin E-Series SurgeStrip Surge Protector 6-Socket 3m White F9E600UK3M Pack of 1 Surge protection protects all of your Connected equipment. 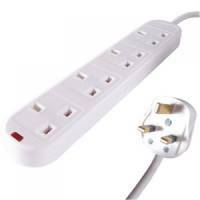 The PowerStrip makes it easy to consolidate household electronic devices on to one reliable power strip. Complete with sliding socket safety covers, and a lifetime product warranty. 3m 6-way. 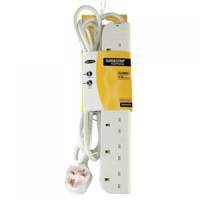 Surge 4 way 2 Metre Trailing Socket Pack of 1 Surge protection protects all of your Connected equipment. 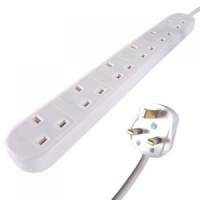 The PowerStrip makes it easy to consolidate household electronic devices on to one reliable power strip. Complete with sliding socket safety covers, and a lifetime product warranty. 3m 4-way.